let it bathe at least a half hour. Drain the tortellini and let it sit in the colander until the pasta is really dry. again, but for this recipe, I use a bag of pre-washed baby spinach leaves, and I am thoroughly satisfied. 3. 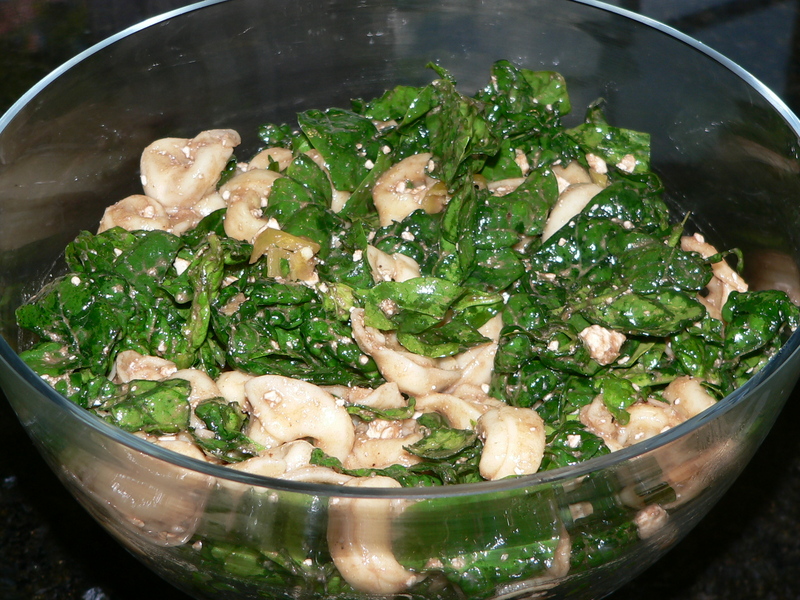 Place the tortellini and spinach in a very large bowl, add the crumbled feta cheese and toss well to mix. 4. Add the balsamic vinegar and black pepper and toss again to coat the salad. 5. Then add the olive oil and toss again, to coat everything beautifully. 6. Serve immediately, and then stand out of the way. You might get knocked down in the rush.